Whether you live in Austin, Round Rock, Cedar Park, Lakeway or anywhere nearby… Check out Hilderbrand Jewelers for engagement rings, custom jewelry, Rolex watches, wedding jewelry, necklaces, bracelets, earrings and more. Looking for Gold Buyers in Austin or Cedar Park? We buy gold too! Get top dollar for gold, silver and diamond jewelry! When searching for the perfect piece of custom jewelry in Austin, Cedar Park, Lakeway or anywhere nearby… you’ll want to ensure that your getting quality craftsmanship and beautifully custom designed jewelry that will leave an impression. Hilderbrand Jewelers specializes in custom jewelry designs to accomplish just that. Find stunning engagement rings and wedding rings at Hilderbrand Jewelers. 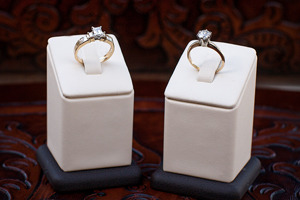 We’ll help you choose the perfect engagement ring and wedding ring sets. 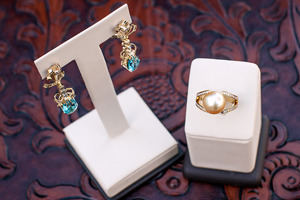 Here you’ll find a wide variety of wedding jewelry and the perfect piece you’ve been searching for. If you don’t see exactly what you were looking for… We can help you create it! Hilderbrand Jewelers carries new and pre-owned watches with superior function and fashion. 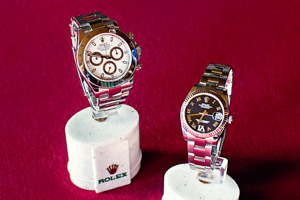 Choose from fine watches such as Rolex, Breitling, Omega and Tag Heuer. We also Service Rolex and Mechanical Watches and upgrade watches by adding diamond bezels or dials to create a one-of-a-kind watch. Looking to sell a Rolex? We also buy Rolex! GOLD BUYERS AUSTIN, CEDAR PARK & LAKEWAY! Where to sell gold in Austin, Cedar Park, Lakeway, Round Rock or other nearby areas… Sell your gold to Hilderbrand Jewelers and get top dollar for gold coins, gold watches and other gold jewelry. We buy gold at the highest rates possible to ensure you get the most from your jewelry. We are also diamond buyers! Get paid TOP dollar for gold, diamonds, silver and platinum jewelry, even if it’s broken! FAST AND PROFESSIONAL JEWELRY REPAIR! Our highly skilled jewelry repair team can bring your broken jewelry and watches back to life, and we do it all in house. If you want your valuable jewelry to remain safely where you left it to be repaired… You can trust Hilderbrand Jewelers to fix your broken jewelry right, the first time! Hilderbrand Jewelers mission is to provide our customers with first-class service in a friendly, no pressure atmosphere. We take pride in our craftsmanship whether it is creating a one-of-a-kind custom piece of jewelry or repairing a family heirloom. Come visit our beautiful showroom located at the The Trails at 620 where superior service meets the highest quality jewelry and watches.